Tucked in a classroom next to the front lobby of WorkSource Okanogan County, high-school-aged students pursue their education. Students arrive at the Omak Learning Center every day, working toward their state diploma or GED. For the past 15 years, a partnership with the WorkForce Investment Act youth program and the Okanogan School District has provided youths who have dropped out or need a different atmosphere from the regular high school environment a chance to further their educational goals and achieve success. 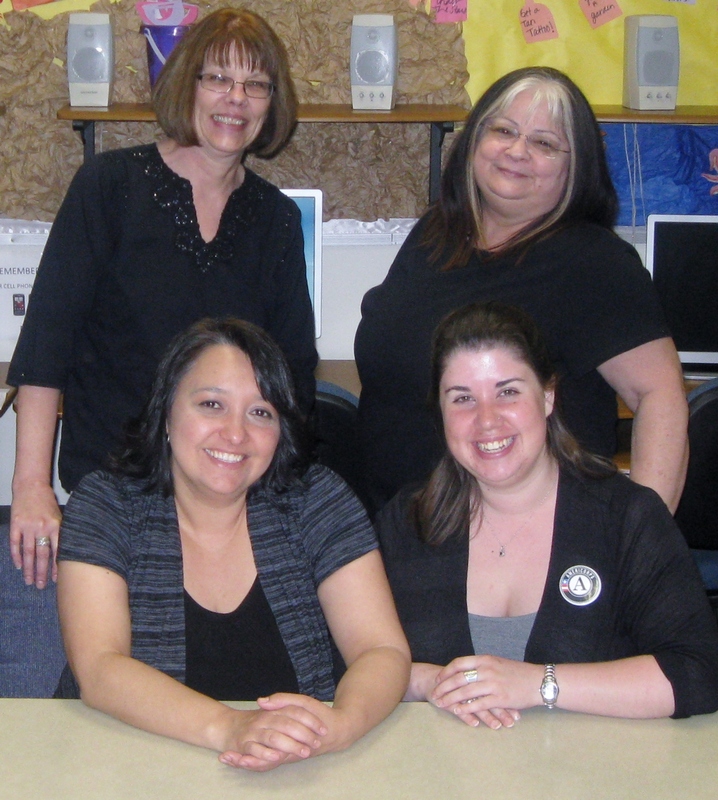 Employees at WorkSource Okanogan who keep the Learning Center growing and thriving are, standing left to right, Mary Hinger and Linda Jane. Sitting left to right are Monica Garza-Acevedo and Heather Sprinkle. The basic skills program at the Omak Learning Center is a school-to-work alternative for students 16 to 21 years old, based on a fundamental principal of learning: Students learn at their own pace. The primary focus is to provide the necessary personal and academic skills and support that enables students to become confident, productive and employable. This graduation season, eight Learning Center students will receive their high school diplomas, two will earn their GEDs and one more finishes GED testing this June. Linda Jane, an Employment Security employee and certified instructor, works attentively with each student to complete his or her personal academic goals. She assists students through a computer program that works on skill development in reading, writing, language arts, math, science, keyboarding and social studies. Learning is competency-based and goal-oriented, and includes individual and group instruction.